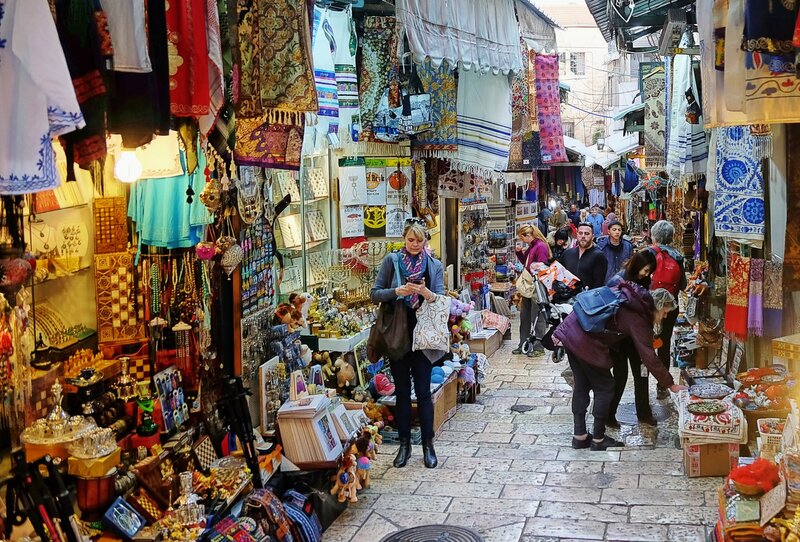 5 days in Jerusalem! 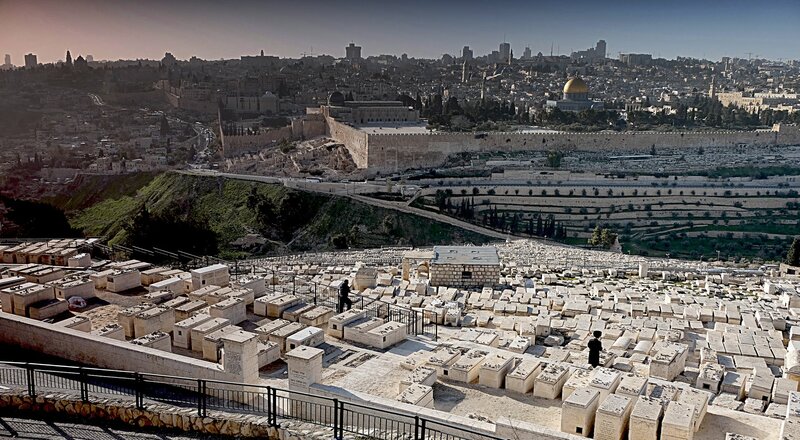 The old city, Yad Vashem and Palestine! | Where in the world is Grandma? After a 10 hour flight, 6 hour lay over and a quick 45 minute flight, we arrived at Ben Gurion airport curious about the screening and security. It was anti climactic. There were no x-rays, queues or anything. I was asked a few general questions about the trip, was issued a visa and on we walked to find an ATM. None of them liked my card so it’s a good thing Sue got money. 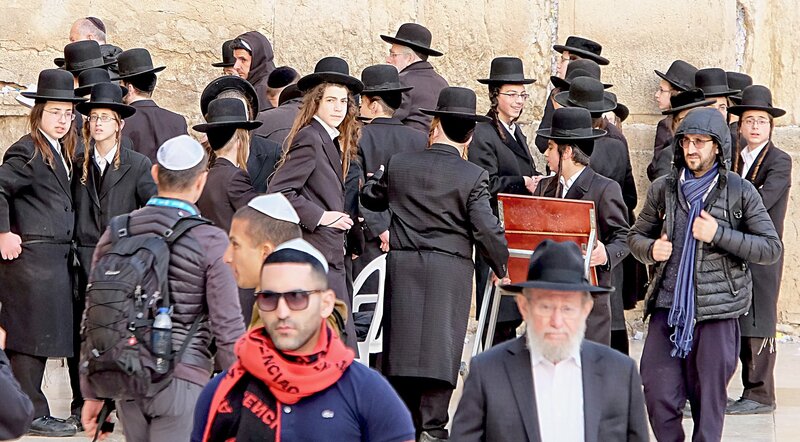 The sheruts were easy to find and, when they finally had enough people going to Jerusalem to fill one, we were on our way. The hostel breakfast was typical Mediterranean with Tomatoes, cucumbers, romaine, olives, cottage cheese, boiled eggs and fresh bread. You could have cereal, toast and jam or chocolate if you wanted and the coffee was excellent. 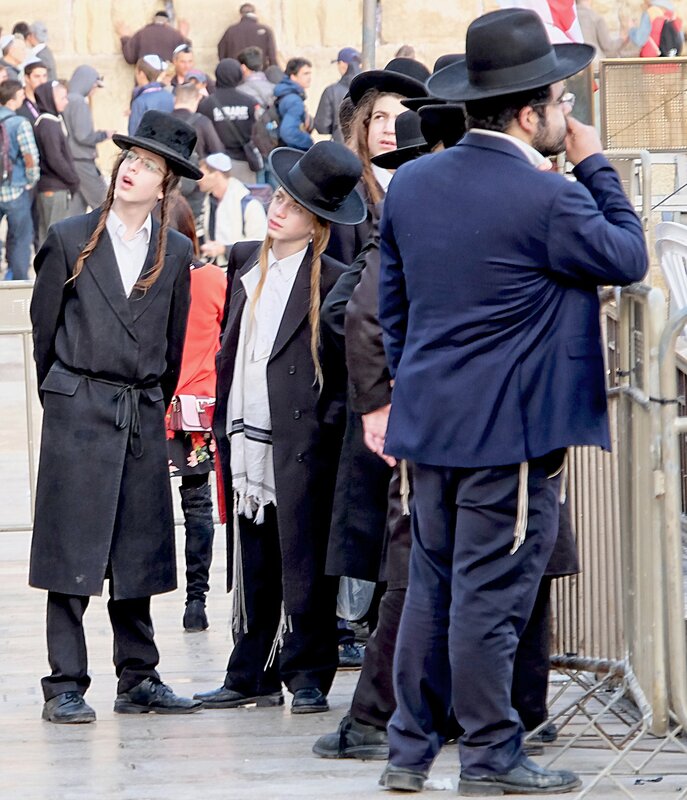 A bunch of us showed up in the lobby and one of the hostel employees walked us to the Jaffa gate and showed us where to find the walking tours. 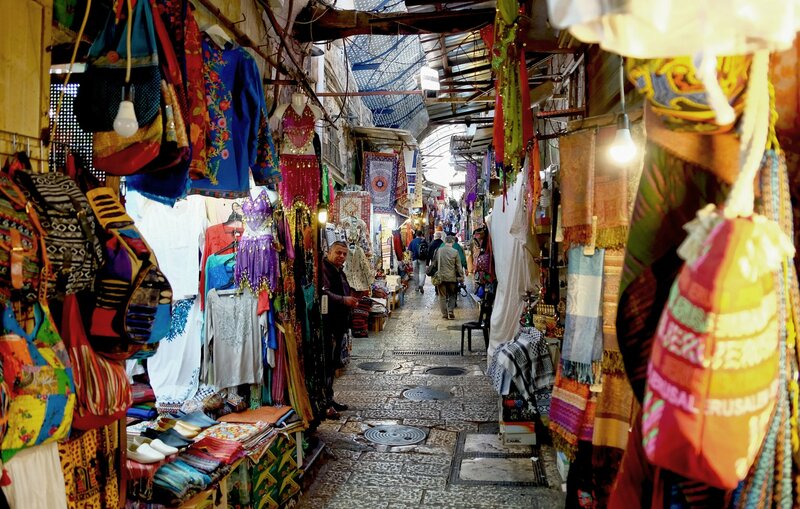 The first one we did was a general tour of Old Jerusalem. 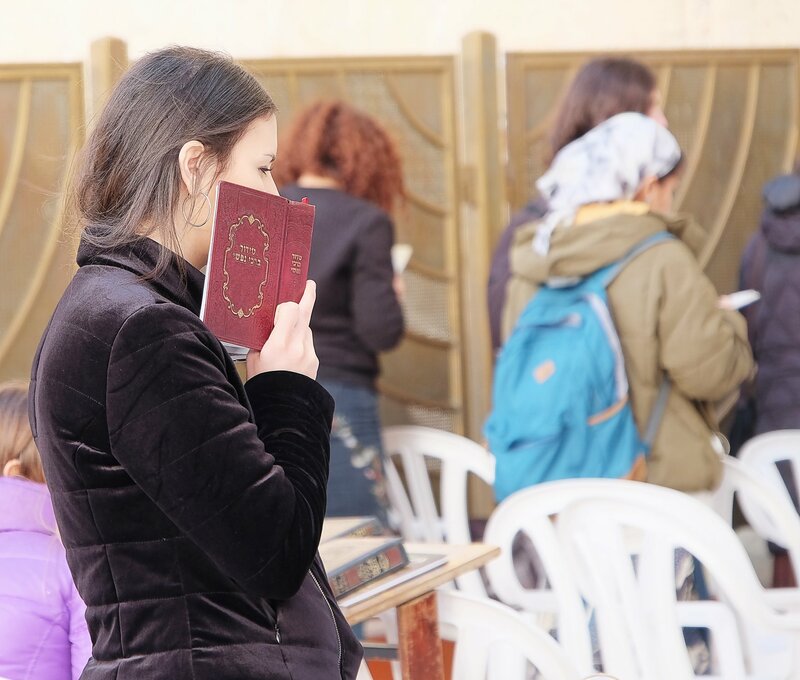 It was a great introduction to the city which is full of fascinating history encompassing Judaism, Christianity and Islam. 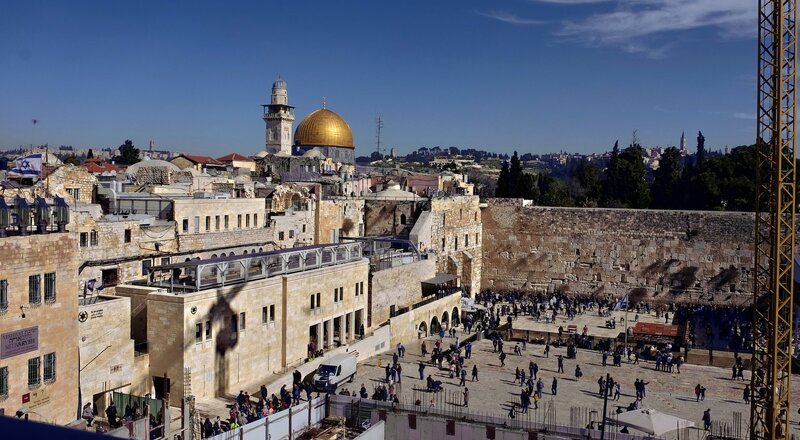 We visited all 4 quarters, saw the Wailing Wall, church of the Sepulcher, the Mount of Olives and the Temple mount. Once that was finished I tried in vain to get money from ATM’s. Apparently Israel does not like my debit card. Weird as it’s worked in many other countries. We stopped at a cafe with wifi so I could message the bank and enjoyed a coffee. Back at the Jaffa gate we joined a tour of the city of David. We walked down, down, down under the city and through tunnels and learned more amazing history. My head was so full there’s no way I’ll remember it all. On the way to look for dinner I tried ATM’s attached to banks. Nope. No luck. We’d picked up a map from the hostel that had restaurant recommendations on it. Basta Pasta sounded good and we eventually found it in the market past the square on Jaffa St. Pasta and a cool mint with lemon drink hit the spot after a busy day. 22,000 steps and a nice hot shower later we were ready to crash. We hit the ground running today. After breakfast we caught the tram to Mount Hertzl and headed for Yad Vesham. On the way I met a woman who we chatted with a bit. She had letters with her to bring to the museum. 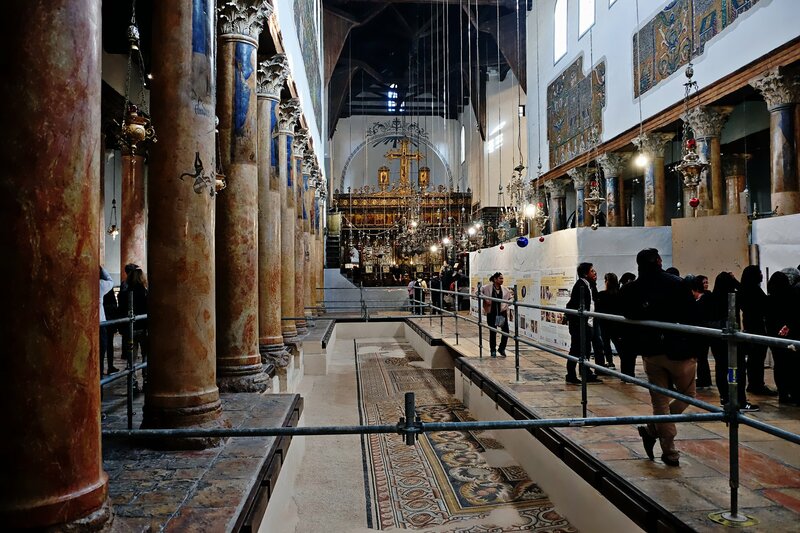 New artifacts and evidence for the Holocaust are still being discovered. I’m thankful we took her advice and picked up electronic guide head sets. They really helped in understanding the MASSIVE amount of information in the museum. More than once I got emotional listening, watching and reading about the persecution of the Jews around the time of the second world war. Most of the information was not new to me but …. the museum succeeded in making it more REAL. Seeing the stories and testimonies for the Righteous among the Nations and then walking the garden and seeing all the names was a great way to end the visit as it renewed my faith in humanity and the knowledge that people CAN do the right thing in spite of all the odds against them. I was proud to see so many familiar names among those righteous. We’d spent much more time than we’d planned at Yad Vashem so missed out on the tour of the Mount of Olives we’d planned. 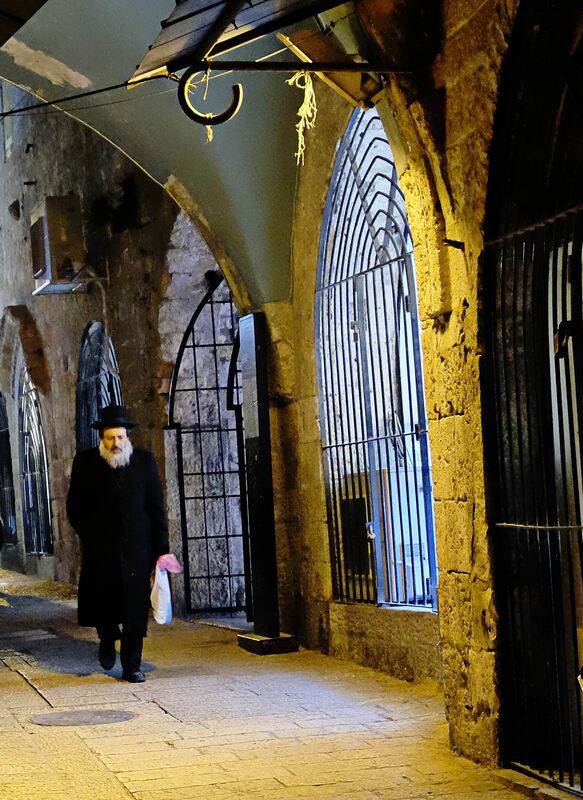 Instead we took the tram back to Old Jerusalem and wandered about on our own. The West wall was very busy and crawling with soldiers. Sue finally asked someone what was going on. 800 cadets were being sworn in today and the ceremony was to start at 7:30. People were already finding places to stand and it was only 4:30! According to the tour guide from yesterday, this was a good time to head for the Church of the Holy Sepulchre but first, FOOD. A nice fellow beckoned us in and Sue had some shawarma, I had a lamb kebob and he brought us as assortment of salad and humus with pita bread. Oh my. Yumminess! Of course we got royally lost trying to find the church. Oh well. We saw more of Jerusalem that way. We could have used our phones to guide as as we both have and app to help us find our way. Sometimes it’s just fun to be lost. 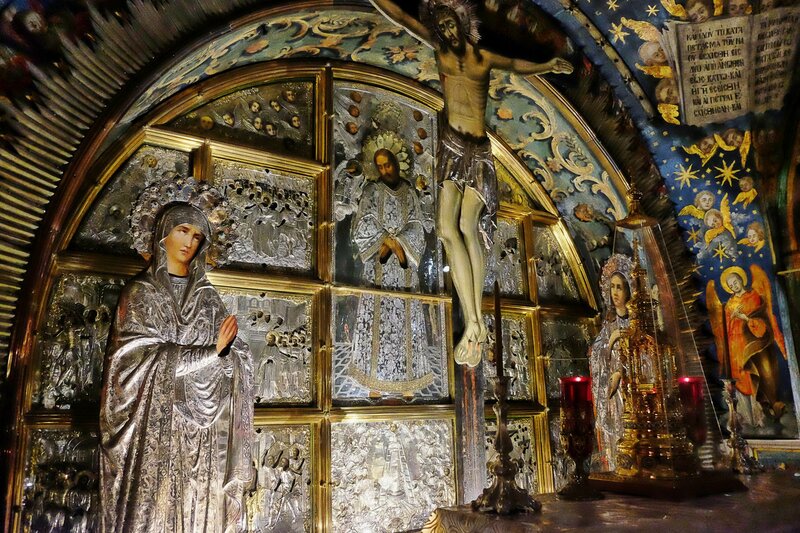 On the top of the hill in Jerusalem known as Golgotha stands the holiest Christian shrine in the Old City, the Church of the Holy Sepulchre – the site of Christ’s crucifixion, burial and resurrection. 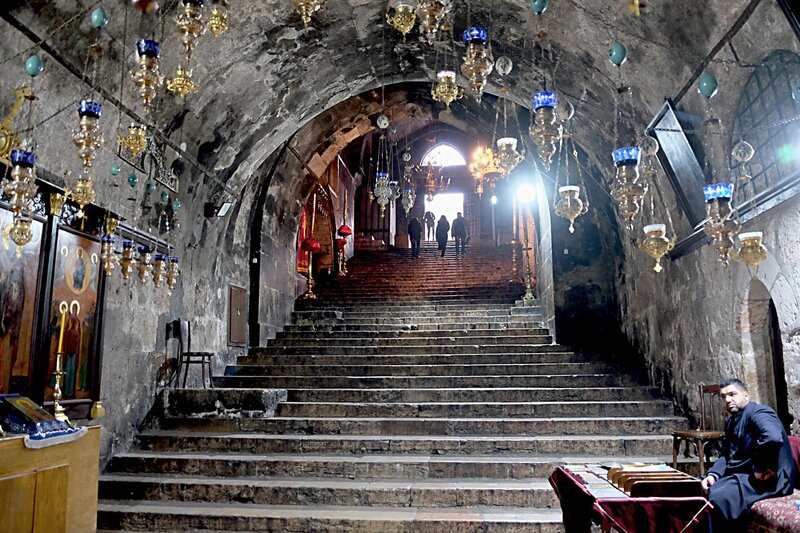 Holy Sepulchre is pretty amazing. We stood in line to touch the tomb of Jesus. We saw the stone where his body was washed after being taken off the cross. Many people bowed their heads on it and prayed. 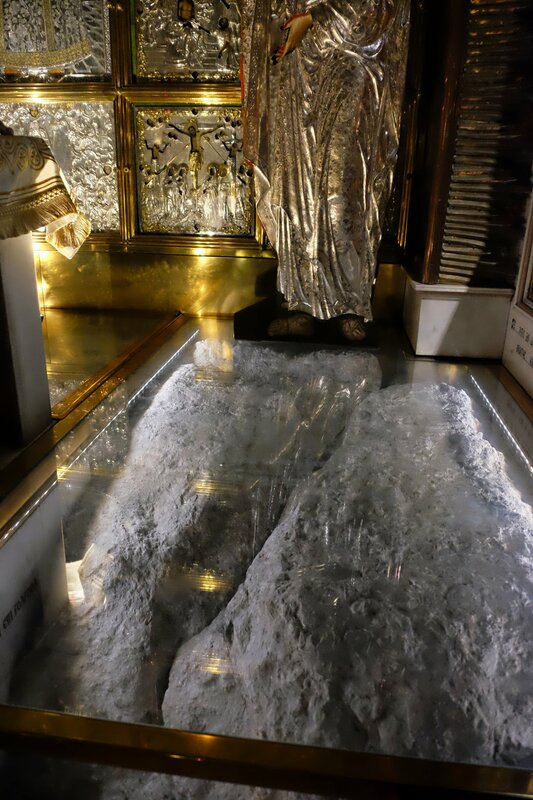 Upstairs is the site where Jesus was crucified and there is a rock there from Calvary. We were in amongst the last to see all of the highlights of this magnificent church and thus blessed with a couple of photos with NO people. Pretty amazing! 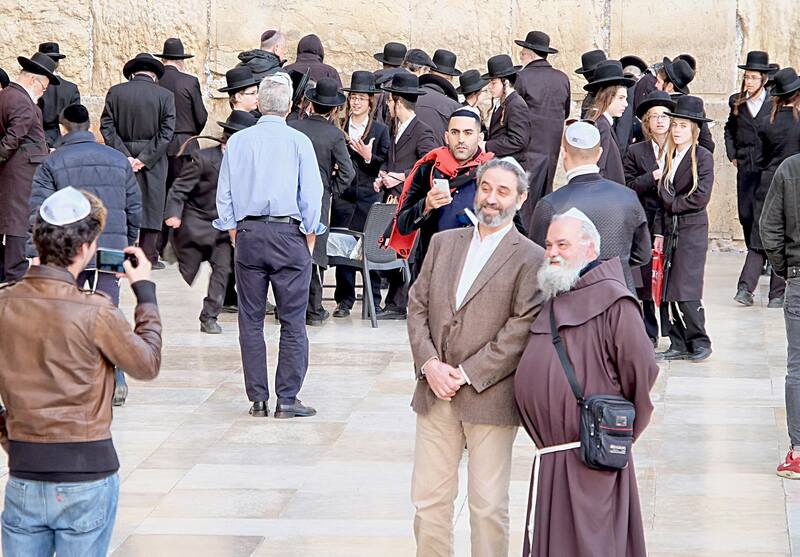 Of course no photos are allowed of the holiest aspects, like Christ’s tomb. Today we had nothing planned so enjoyed a leisurely breakfast and chatted with other hostel guests including a very entertaining South African man we keep meeting all over the place. 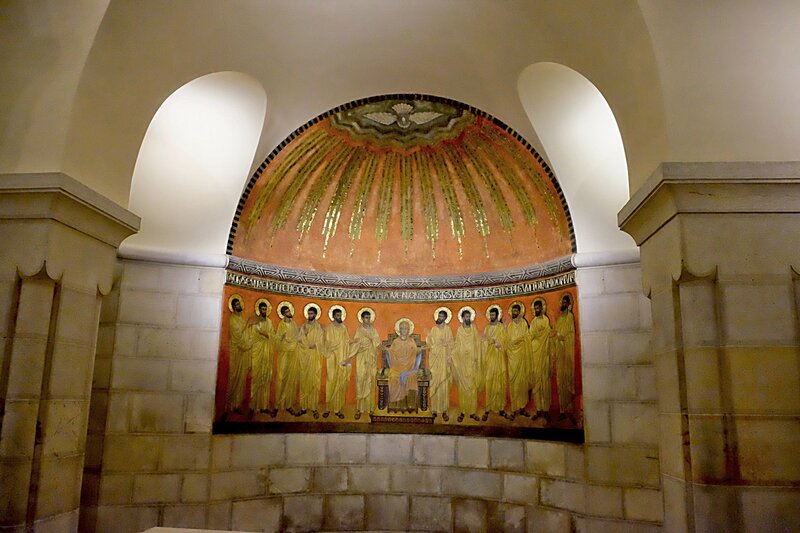 In Old Jerusalem we tried to find some of the sights we haven’t visited yet and successfully stumbled upon the tower of David, David’s tomb, Mary’s tomb the room where the last supper was held and where the disciples were over come by the Holy Spirit. The mosaic included Mary, Jesus mother and I didn’t remember her being there for that. At a coffee shop I found a Bible, looked up the book of Acts and sure enough, she was there along with several other women. Interesting! 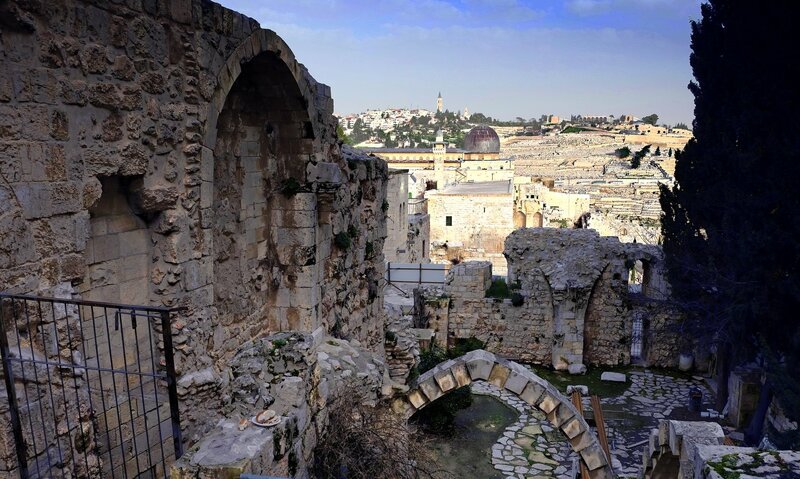 Back at the Jaffa gate, we joined a tour going to the Mount of Olives, again with Sandeman’s tours. . The shuttle took us up the hill and we worked our way down with Salah as our guide. At the top we saw what is supposed to be Jesus’ footprint left when he ascended into heave in what is now a mosque. 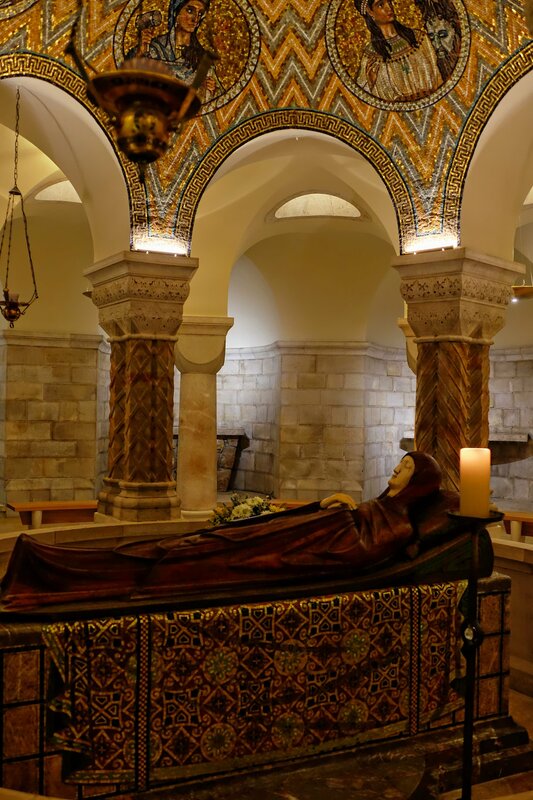 Next was Mary’s tomb inside a church. 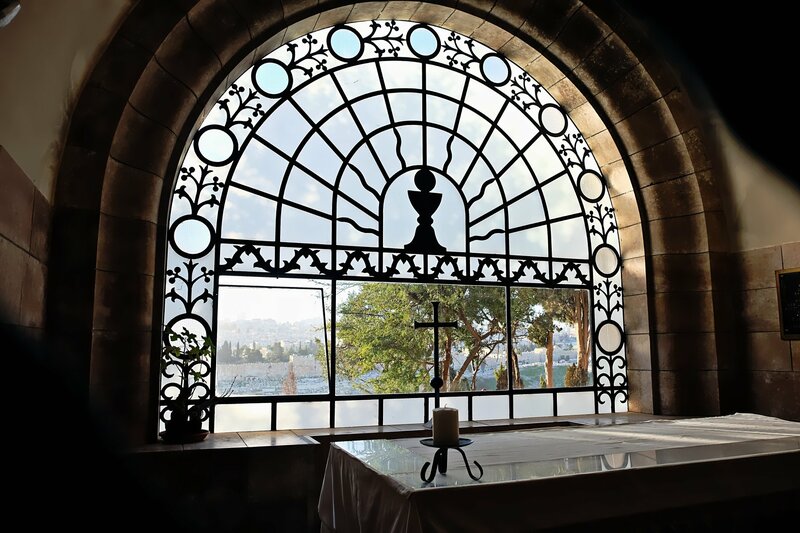 The Pater Noster is where Jesus taught the Lord’s prayer and it’s displayed in every language in the world, including dialects. 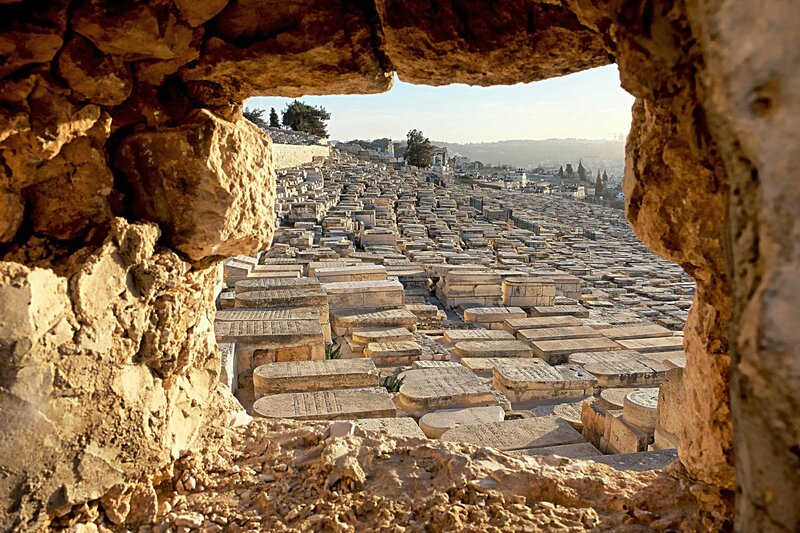 We stopped to enjoy the view of the oldest Jewish cemetery in the world in front of Jerusalem, the Kidron valley, Mount Zion and everything in between. 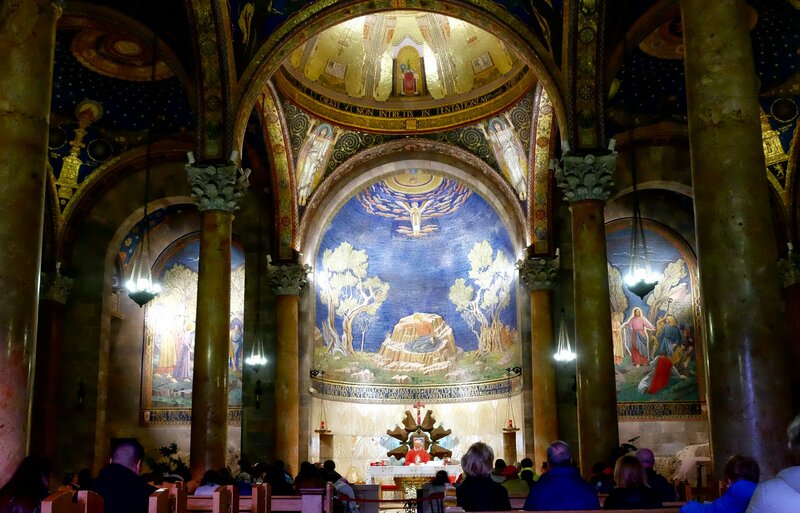 Dominus Flevit is a little Roman Catholic church shaped like a tear drop as it’s said this is where Jesus wept over the future fate of Jerusalem. 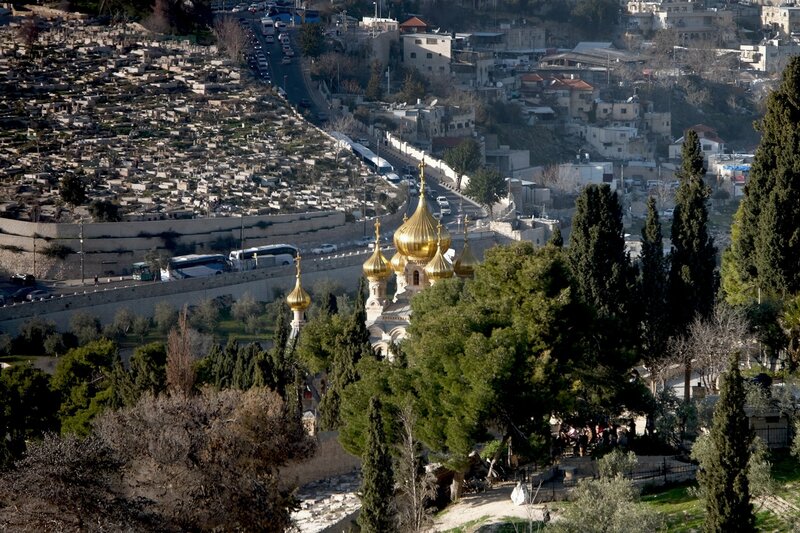 It’s the only church that faces West, rather than East and therefore has an amazing view of Jerusalem. 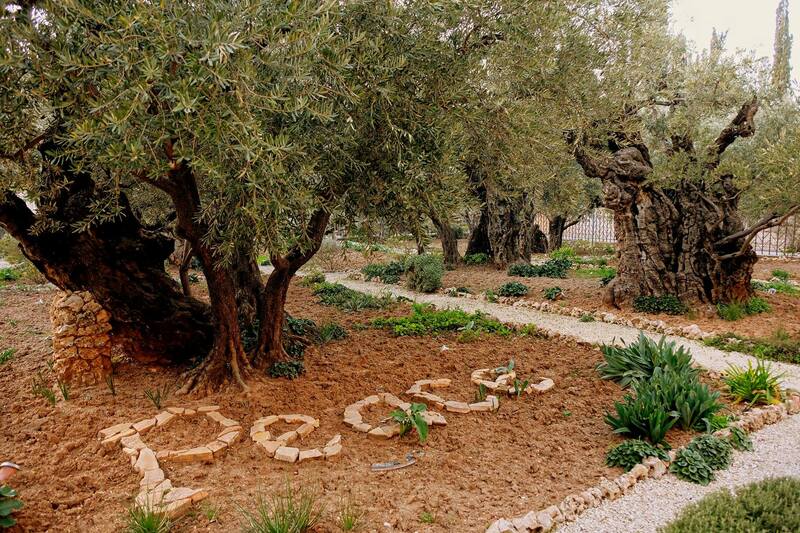 The Garden of Gethsemeni contains olive trees dating back to the 1100’s. 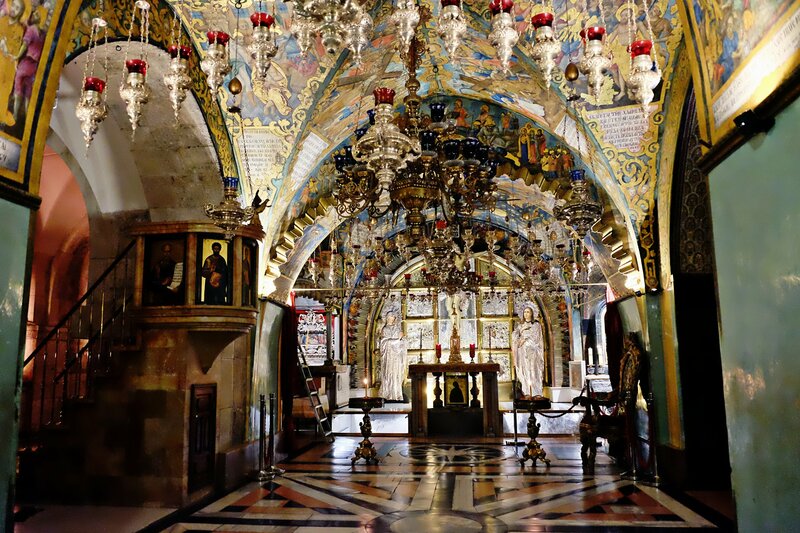 It’s believed that some of the branches may date back to the time of Jeusus. There’s a sycamore tree that may have been the one Zaccheus climbed. A few years ago it developed some disease and the Russians came just to treat it. They were successful as it’s healthy again now. 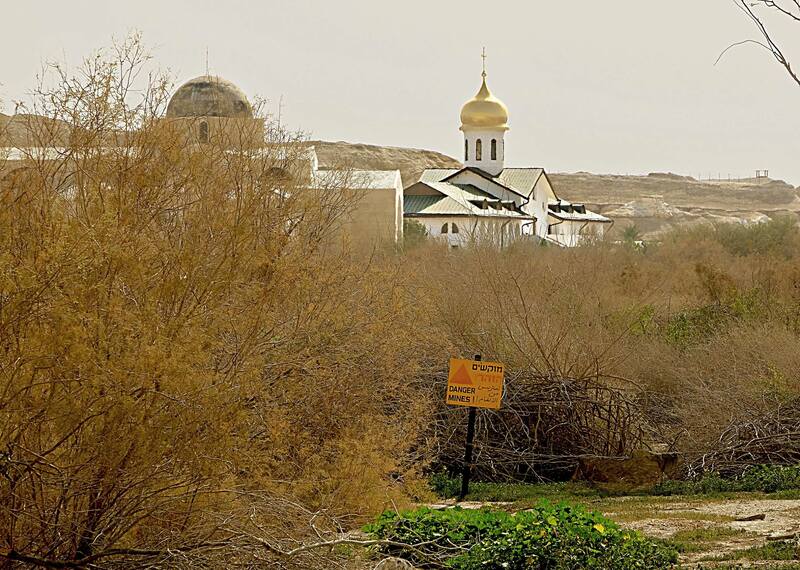 Gethsemeni is adjacent to a Russian orthodox church calledThe Church of Mary Magdalene. 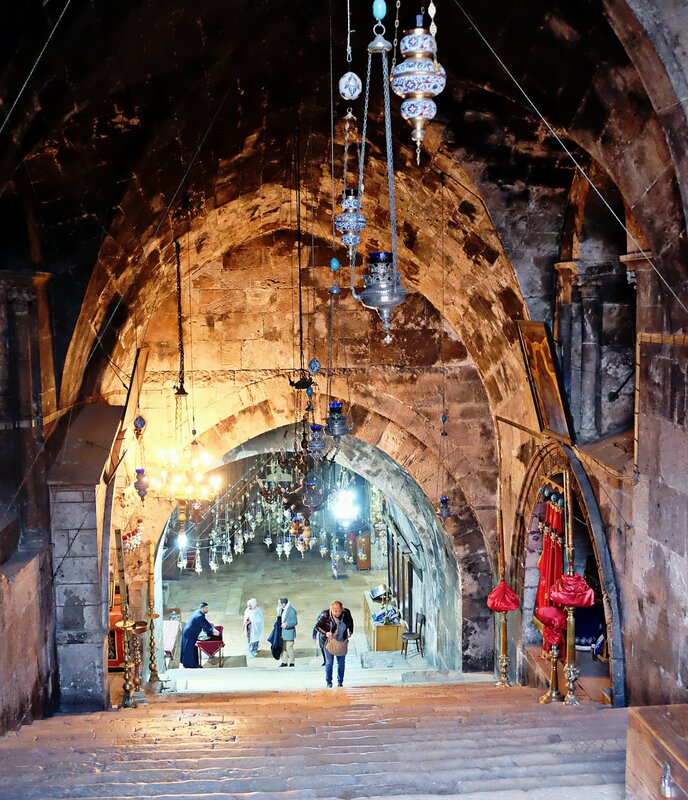 The last church was very different in that you walked DOWN the steps to enter a church shaped like a cross and adorned with many hanging lanterns. Some took a taxi back to town but we walked together with a young couple from the Netherlands with Salah back to the Old city. 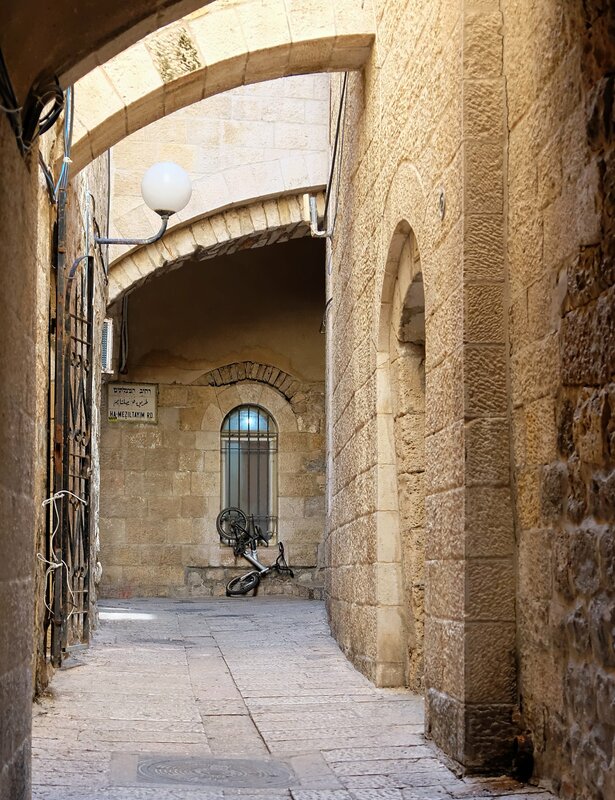 We left him and walked back up the deserted Jaffa street to our hostel where we cleaned up and got ready for Shabbat dinner. What a treat that was! After a brief ceremony we indulged in a huge meal of chicken, assorted salads, baba ganoush, humus and fresh bread. Teardrop church where Jesus wept. The only one that faces west. Jericho. 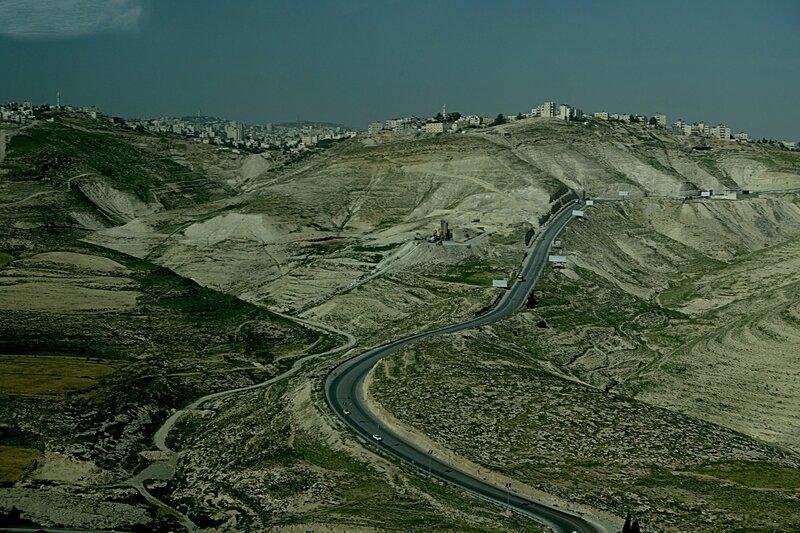 285 metre below sea level and a totally different climate than Jerusalem or Bethlehem. 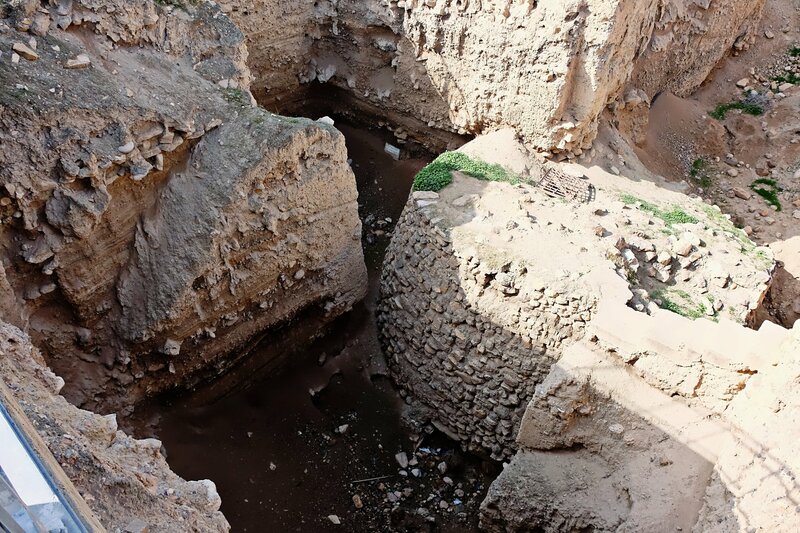 Excavations have been done that seem to prove the Biblical story of the walls coming down impossible. I’ll have to look into that one further. 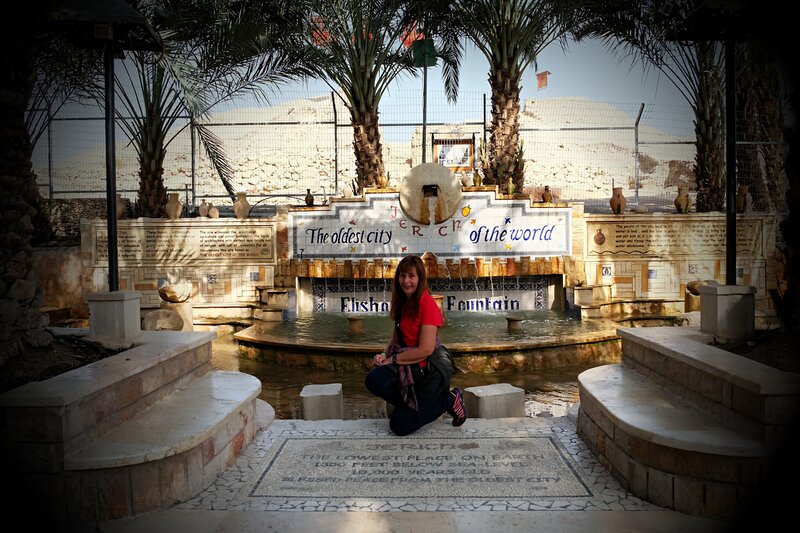 At the Jordan river baptism site I went down and touched the water. The river is higher than it’s been in years. Hopefully this continues as the area is desperately in need of water. At this site we met some very pushy, rude tourists. 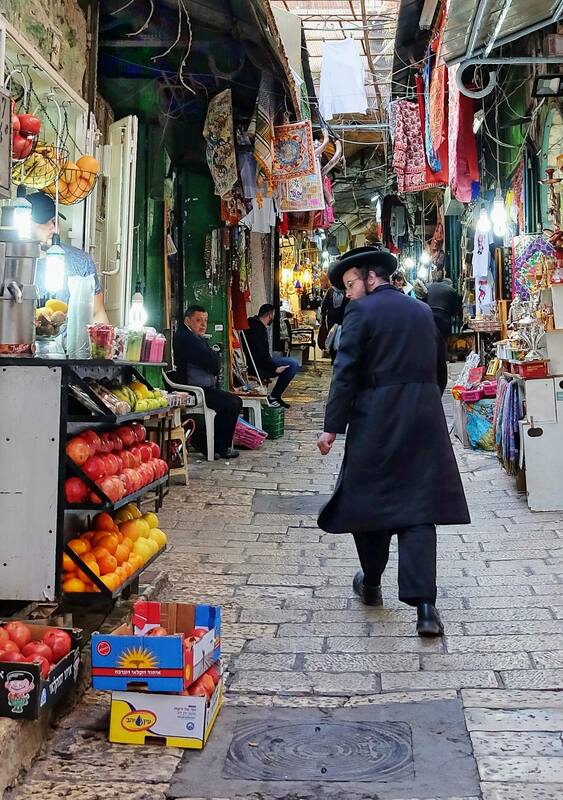 After a delicious traditional lunch of lamb and chicken kabobs with assorted salads, hummus, bread and a wonderful refreshing drink of lemonade with mint, we continued on to Bethlehem. 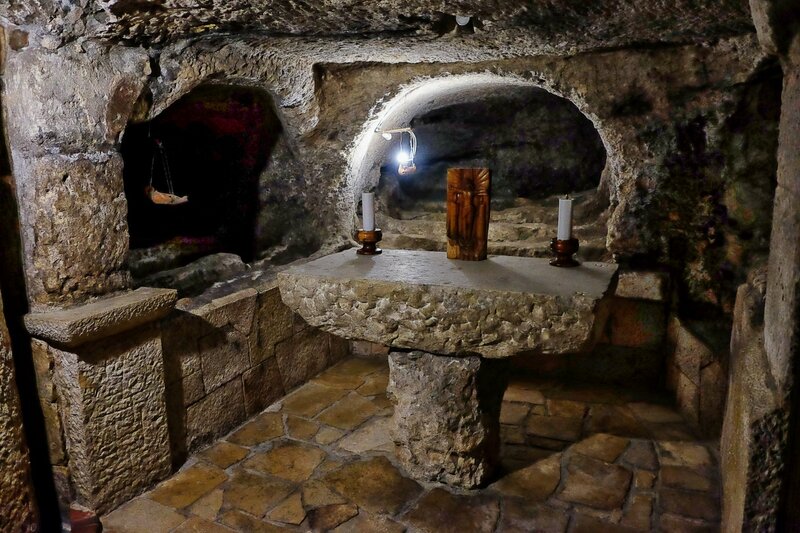 There we visited the church of the Nativity which is the oldest functioning church in the world and peeked in to see the cave where Jesus was born. 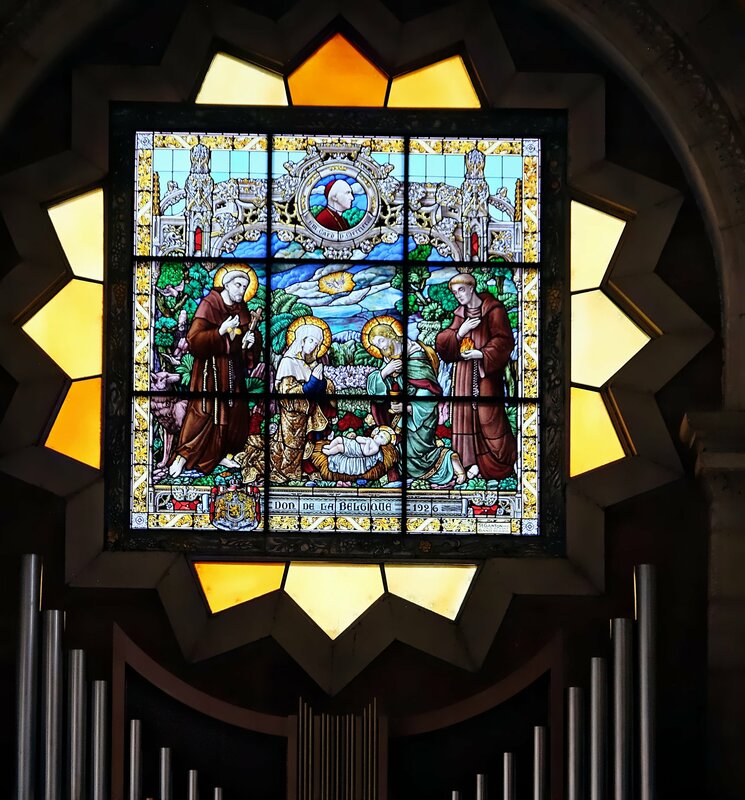 The church is shared by Greek Orthodox, Armenian and Roman Catholics. Across Manger Square is a mosque. 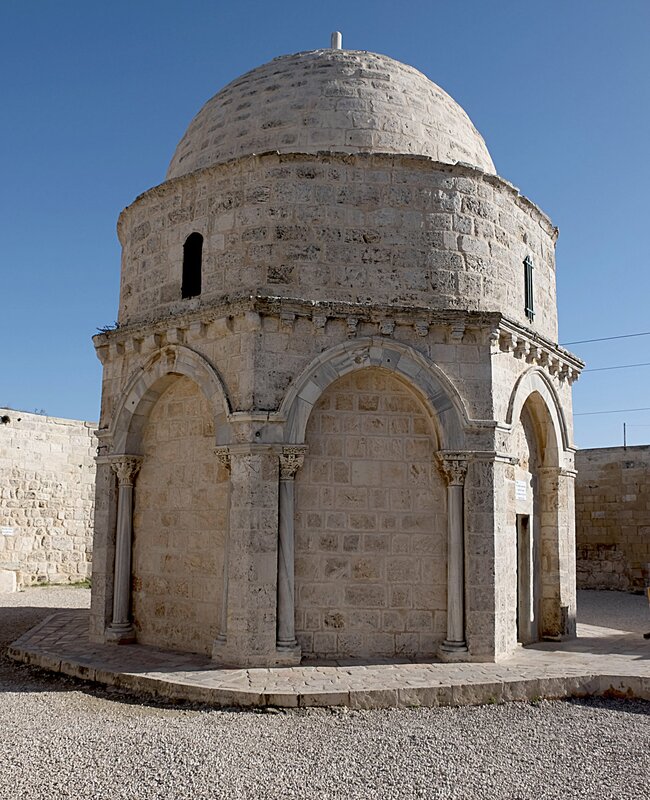 It’s said that a certain Muslim leader was invited into the Church of the Nativity but he declined saying that if he did so, they’d want to turn it into a mosque and he thought it should remain Christian. The last stop of the day was a view of the wall severing Bethlehem and the rest of Palestine from Israel. It’s very sad. 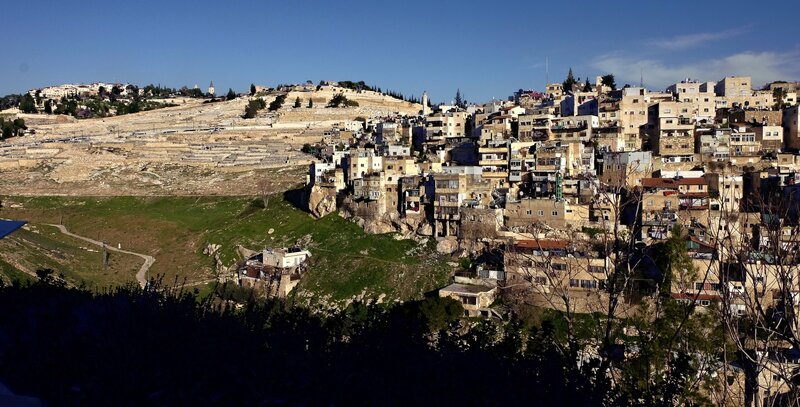 Palestinians have been cut off from hospitals, jobs and transportation options. There’s graffiti all over it, including some done by Banksy, and it’s interesting to read a lot of it. Back at the hostel we figured out our options for the next day as we begin to travel south. After a bit we went out for a walk to try and wear off some of the food we’d gorged on all day. 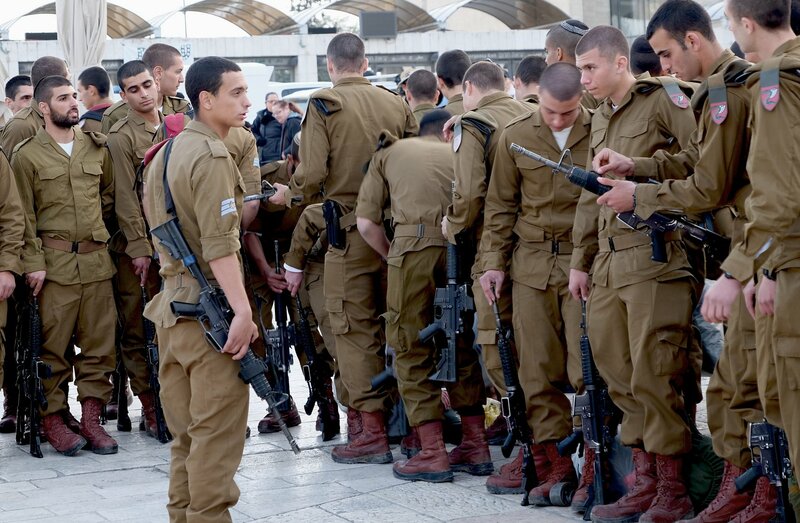 It was very quiet as it’s still Shabbat. 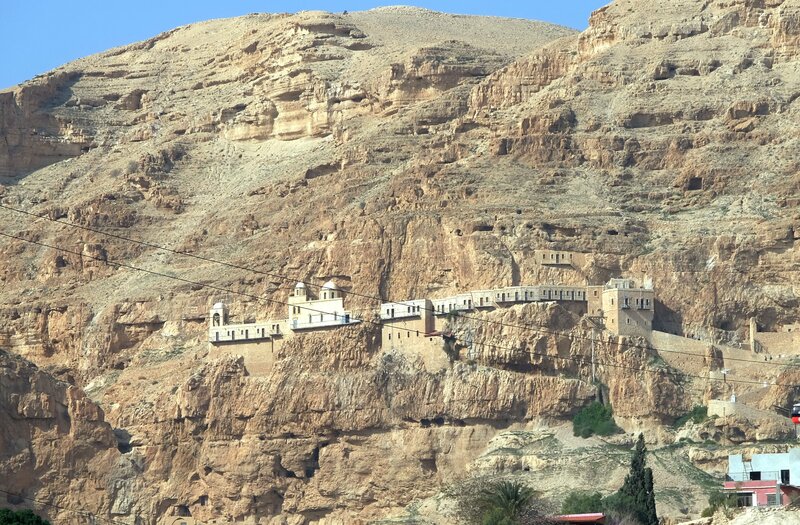 Pingback: Masada, The Dead Sea and Ein Gedi | Where in the world is Grandma?